YOUR COMPLETE METAL BUILDING AND RESIDENTIAL METAL ROOFING SOURCE. Your home deserves the best, and not at a price that will break the bank. All American products are high-quality at an affordable price. We are there when you need us. All American Metal has been protecting homes all across the United States for over twenty years. Our products will keep your home safe from Mother Nature years after your neighbor’s shingle roof has blown off and been replaced! See below on how to get a great All American Metal product today! 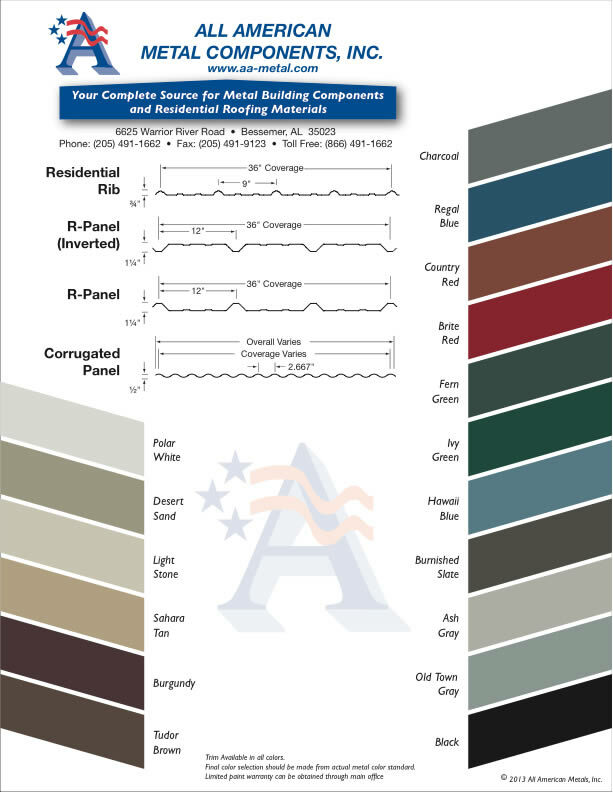 Thinking about Metal roofing or siding options? See our handy guide.